If you're a new teenage driver, you'll need to complete a Driver's Ed course to meet the requirements of the Delaware Division of Motor Vehicles (DMV) graduated driver's licensing (GDL) program. Driver's education will not only help to prepare you for your DMV written and road tests, but it can also help make you a safer, more experienced driver. 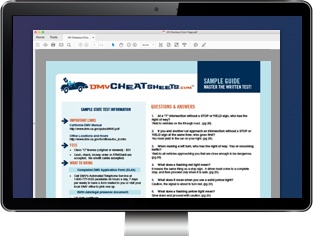 On this page you'll find information about Delaware driver's education and the next steps you'll need to take to receive your first full driver's license. In Delaware, all new drivers younger than 18 years old must complete a Driver's Ed course. Once you complete the course, you'll be able to apply for your learner's permit and move on to the next steps of the Delaware DMV GDL program. To enroll in a Driver's Ed course, you must be enrolled in a Delaware public school, private school, or be home-schooled. By fax to (302) 739-1770. For more information, please call (302) 857-3320. Driver's Ed programs in Delaware are approved by the DE Department of Education and can be taken at your high school for free. If you fail the course, you will need to register for an adult driver education program (also offered at your school) and pay a fee. For specific details about your school's driver education program and your options for enrollment, please contact your school or the Delaware Department of Education at (302) 857-3320. NOTE: If you are home-schooled, contact the DE Department of Education or your local school district to see where you can complete your Driver's Ed program. 7 hours of behind-the-wheel practice. Anticipating hazards and managing risks. NOTE: If you do not pass your driver's education course, you may need to pay a fee and take it again. If you have an Individual Education Program, you may be given special considerations. Have your parent, legal guardian, or an authorized adult sponsor you. Hold your learner's permit for at least 12 months. Practice supervised driving for the first 6 months. For more information, please visit our Delaware Drivers Permits and Applying for a New License (Teen Drivers) pages.